Professionalism and service are the very foundation of Barbizon's long success, and the driving values at each of our 14 offices worldwide. Every Barbizon location is staffed by a team of industry professionals with real-world experience in the products they sell. Every associate can assist you in product selection, technical questions and more. We work every day to make sure your order is complete, properly executed, and shipped on time -- when you need it. Our product is ready for pick-up, ground service or next day express delivery. Because our staff consists of entertainment industry professionals, we know and respect the fact that each and every customer is different. The single driving philosophy at Barbizon is to connect with our customer and help them find what they need, when they need it and at a fair price. Barbizon has access to any product you may need. Whether you need a replacement studio lamps or stage lighting to update your existing application, you can find the right products at Barbizon. You can find all of your lighting and rigging equipment needs, big or small. Our skilled team members understand how to guide projects at any stage of development. We’re not only experts in installing new lighting and rigging applications, but we also know how to work with existing systems. 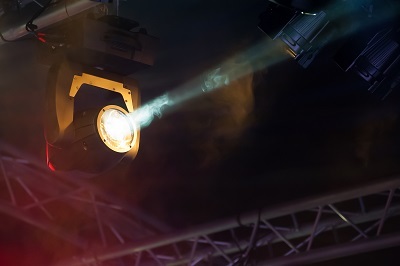 We’re here to provide advice as you select replacement lamps, studio lighting, or theatrical stage lighting or rigging for your existing facility. Since we have access to a vast inventory of lighting and rigging equipment, we can help you select the specific pieces that you need. No one has more diversity of products in stock as Barbizon. For over 60 years Barbizon has enjoyed a strong reputation for its high quality product lines, competitive prices and vast inventory. We’re proud of that! We’re especially proud of our knowledgeable team. These experts speak your language and understand the demanding needs of production professionals. When it comes to customer service we understand the daily challenges, demands and deadlines our customers face.